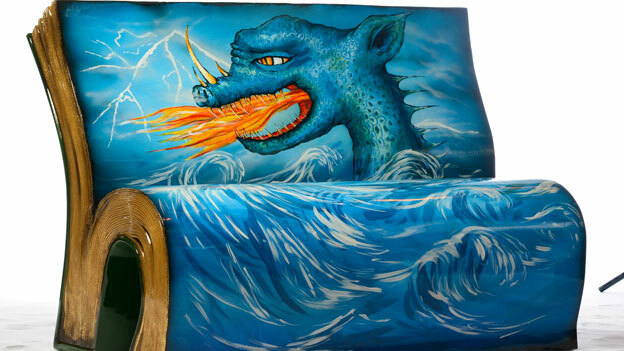 50 benches designed by artists and writers to look like open books, have been placed around London. Literary heroes such as Sherlock Holmes, James Bond, Mary Poppins and Hercules Poirot also appear on benches for visitors to find by following literary trails. 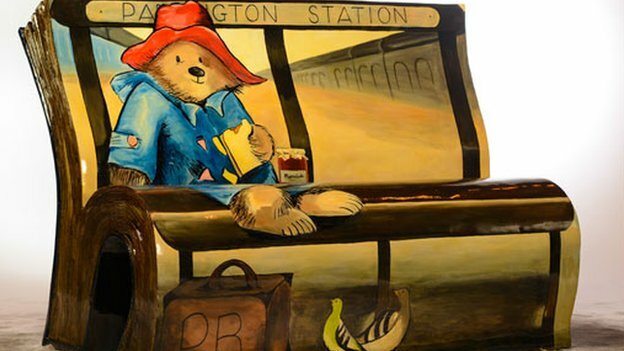 The benches will be auctioned at London’s Southbank Centre on 7 October to raise funds for the National Literacy Trust to tackle illiteracy in deprived communities across the UK. This entry was posted in Books and tagged Benches, classics. Bookmark the permalink.